The two are practically synonymous: March Madness and brackets. But where did brackets come from? When did the tradition of filling them out start? How can you get better at picking them? Where do brackets come from? According to Slate, the very first bracket in a sports tournament came in 1851, at a chess tournament in London. With the city hosting the Great Exhibition for British technology, English chess master Howard Staunton set out to organize the world’s first international chess tournament. In order to whittle the 16-player field down to one winner, Staunton decided to make eight pairs, with the losers of each being eliminated from contention. 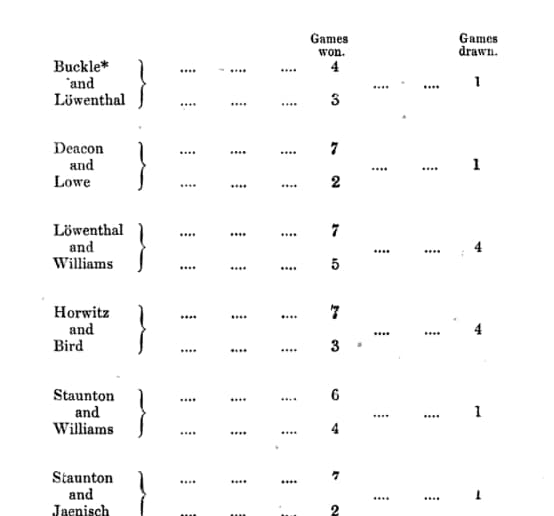 Instead of seeding players to decide pairings (like the modern NCAA tournament), Staunton had each draw a random lot. After the first round, the eight winners drew tickets again for fresh adversaries, all the way to the championship match. Staunton’s first bracket fell short of achieving that goal, but we’ll get to that in a minute. Why is it called a bracket? Sure, that doesn’t look much like a modern bracket (since second-round matchups in his tournament were decided by drawing new lots, only first-round matchups were listed), but you can certainly see why it would be called a bracket. How does the NCAA tournament bracket work? While the modern NCAA tournament bracket can trace its origin back to the 1851 chess tournament, a few problems that arose in that tournament helped shape the NCAA tournament bracket differently. After the chess tournament, Staunton admitted that there were a lot of complaints about the random drawing, with some players getting much easier routes through the tournament based on multiple lucky draws, and top players being paired against each other in the first round, forcing one to be eliminated very early — two issues that are not conducive to a properly competitive or entertaining tournament. The modern NCAA tournament bracket solves these two complaints in two ways. First, it seeds all teams based on their skill level. Seeding is an official ranking compiled by the tournament’s Selection Committee — a 10-member group of school and conference administrators responsible for selecting, seeding and bracketing the field. There are two types of seeding in the modern tournament. First is the region seed, which is most often what people are referring to when they mention a team’s seed. 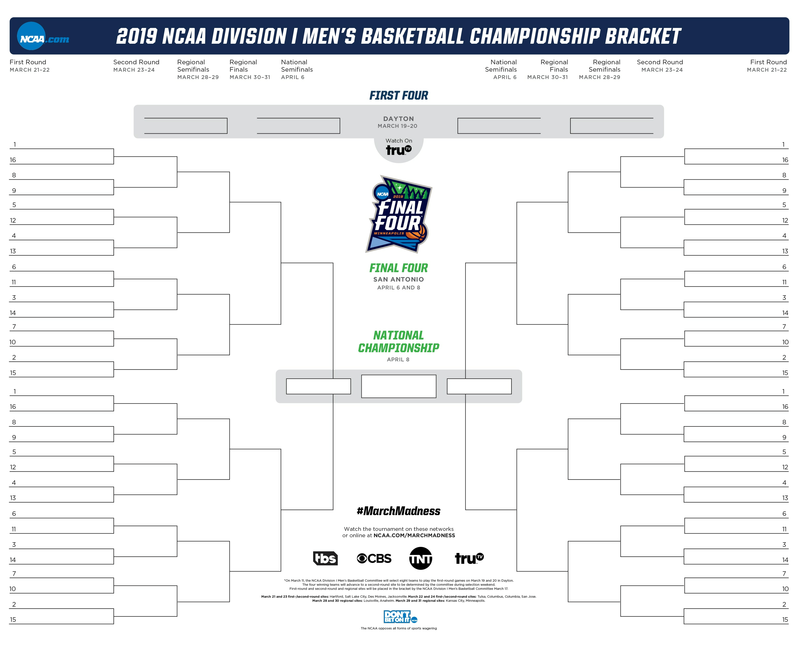 The NCAA tournament bracket is split into four regions that correspond to the locations in the United States where the opening rounds are played: East, West, Midwest, and South. Each region has 16 teams, which are each ranked 1 (the highest) through 16 (the lowest). Second is the overall seed, which ranks each of the 68 teams in the tournament 1 (the highest) through 68 (the lowest). This is used to help determine which seeds are placed in which regions. For fairness, the committee tries not to place the best 1 seed in the same region as the best 2 seed, and so on. 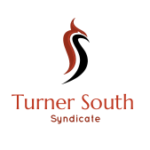 This process serves to reward better teams with easier routes to the championship and also spreads the best teams throughout the bracket so that no region is unfairly lopsided and competition is as fair as possible. Second, instead of having teams redraw for new competition after every round, the NCAA tournament bracket’s advancement is set before any team plays. All potential matchups in all rounds are established clearly before the first game tips off. The NCAA tournament is a single elimination bracket, meaning teams are eliminated from the tournament after a single loss. Win or go home. Other sports tournaments employ multiple-elimination brackets. For example, the College World Series is a double-elimination tournament, where teams are no longer in the running for the championship after they lose two games. Finally, the current NCAA tournament has 68 teams. Eight of the lowest-ranked teams play in the First Four — eight games played before the first round of the tournament to narrow the field down to 64. From there, the bracket is very straightforward, with six rounds played, each one cutting the field in half until there is a champion. When was the first NCAA tournament bracket? Are there still consolation games? No. 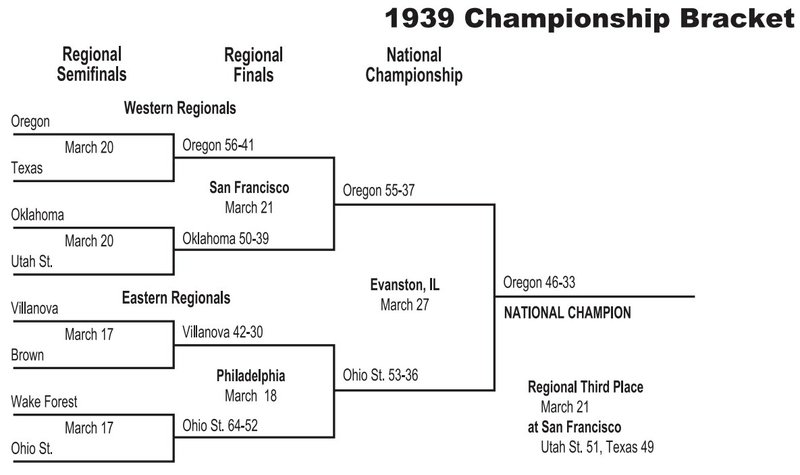 Regional consolation games were played from the first tournament, and the first national third place game was played in the 1946 tournament between Ohio State and California. The last was played in 1981 between Virginia and LSU. Since then, when a team loses its first game in the NCAA tournament, it plays no further games in the tournament. When did brackets get popular? The public didn’t always scramble to fill out brackets every March. In fact, it’s a relatively new phenomenon in the scope of the tournament. The NCAA tournament’s bracket was volatile through much of its first half-century, with the format and number of teams changing multiple times throughout, leading to some brackets that were far from user-friendly. For instance, in 1959, the tournament consisted of 23 teams, with nine receiving first-round byes. That certainly limits the appeal to the casual fan. Furthermore, in the 1960s and 70s, UCLA won 10 championships in a period of 12 years. There wasn’t much thrill in picking a bracket when everyone knew who was going to win it. In 1975 — what would be UCLA’s last championship of that run — the tournament expanded from 25 to 32 teams. In 1985, the tournament made another huge leap, from 53 teams to 64, adding more games and more chances for upsets. According to the Smithsonian, the first bracket pool started in 1977 in a Staten Island bar, where 88 people filled out brackets and pitted them against each other’s. They were on to something. In 2018, tens of millions of brackets were filled out through major online bracket games, and while it’s impossible to count the number of paper brackets filled out offline, it wouldn’t be unreasonable to assume that group also ranks in the millions. And every one of those millions of brackets has one goal: To be perfect. What are the odds of a perfect bracket? That’s tough to say exactly, but we’ll get two things out of the way quickly. 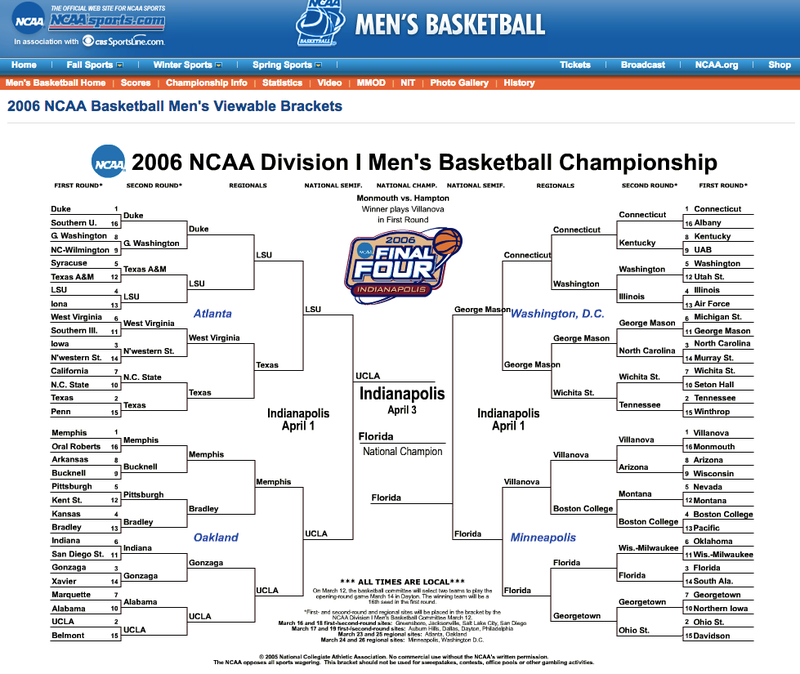 One, no one has ever filled out a verifiably perfect bracket in the history of the modern NCAA tournament. Two, no one likely ever will, because the odds are infinitesimally small. So astronomically small that in reality they’re practically zero. Let’s take a look. Virtually all NCAA tournament brackets disregard the First Four and only pick games starting with the first round. Since there are 64 teams in those brackets, the most basic calculation is the number of possible outcomes for 63 games picked randomly. That would be 2 (the number of potential winners for each game) to the 63rd power (the number of games in the bracket). More simply, that’s 2 times 2, 63 times, which is equal to roughly 9.2 quintillion. For reference, if you filled out 1 billion random brackets every single second for 100 straight years, you would still be 6 quintillion brackets shy of 9.2 quintillion. But that only applies if every game is a coin flip. In practice, there’s a lot of information that usually goes into picking brackets. The most basic is seeding, which we discussed earlier. Since every team is seeded 1-16 in its region — with the highest-ranked team receiving a 1 seed, and the lowest a 16 — even someone who has no basketball knowledge at all can make a somewhat educated guess on which team is favored in each matchup. DePaul professor Jeff Bergen broke down the odds for someone making informed decisions for each game and came up with odds of 1 in 128 billion. Much better that 1 in 9 quintillion for sure, but still almost so low as to be negligible. If every single person in the U.S. had the basketball knowledge Bergen accounted for, and each filled out a bracket, the chance that one of those would be perfect is less than 0.25 percent. What’s more, a lot of the calculations for perfect brackets assumed that the 1-vs-16 matchup was an automatic win for the 1 seed, since before 2018, a 1 seed had never lost to a 16 seed in the history of the tournament. Since UMBC showed that upset was possible last year, the odds of a perfect bracket just got even worse. Sorry. So, what is the greatest bracket we know of? We looked at millions of brackets from the largest online bracket games to find the longest a verifiable bracket had gone undefeated, and the best we have found went an incredible 39 games before getting one wrong. That’s ridiculous, but it’s still just 61.9 percent of the way to a perfect bracket. In 2018, the best bracket in our Capital One Bracket Challenge Game — out of millions of entries — picked 51 of 63 games correctly, for a percentage of 80.95. In the eight years that we’ve run a bracket game, the best we’ve ever seen is 54 picks (85.7 percent accuracy), which happened in both 2015 and 2017. But the futility of the chase for perfection hasn’t stopped people from trying. If anything, NCAA tournament brackets have become a bigger part of culture in and out of the sports world as the difficulty of the process has been popularized. Who are some famous people who have filled out a bracket? President Barack Obama started an annual tradition of filling out an NCAA tournament bracket in 2009. That year, he correctly picked North Carolina to win the national championship, but failed to pick the winner in any of his seven following brackets. President Donald Trump did not continue the tradition in 2018. But plenty of celebrities fill out brackets each year, from former presidents, to Super Bowl champions, to CNN anchors and Charles Barkley. Famous investor Warren Buffett also got involved with the bracket game in 2014, when he joined forces with Quicken Loans to offer a $1 billion prize for anyone who picked a perfect bracket. Of course, no one won. But in 2016, Buffett revived the contest only for employees of Berkshire Hathaway and its subsidiaries. The prize was also changed to $1 million every year for life to anyone who picked a perfect Sweet 16, which would be 48 correct picks in a row. No one claimed that one either. What does the 2018 NCAA tournament bracket look like? When the field is filled out, it will be live on NCAA.com here. How can you fill out a bracket? You can register to play against millions of brackets in our Bracket Challenge Game — the official bracket game of the NCAA — now, but you can’t fill out a bracket until the teams have been announced. As soon as the field is official, you can enter your brackets in our Bracket Challenge Game. 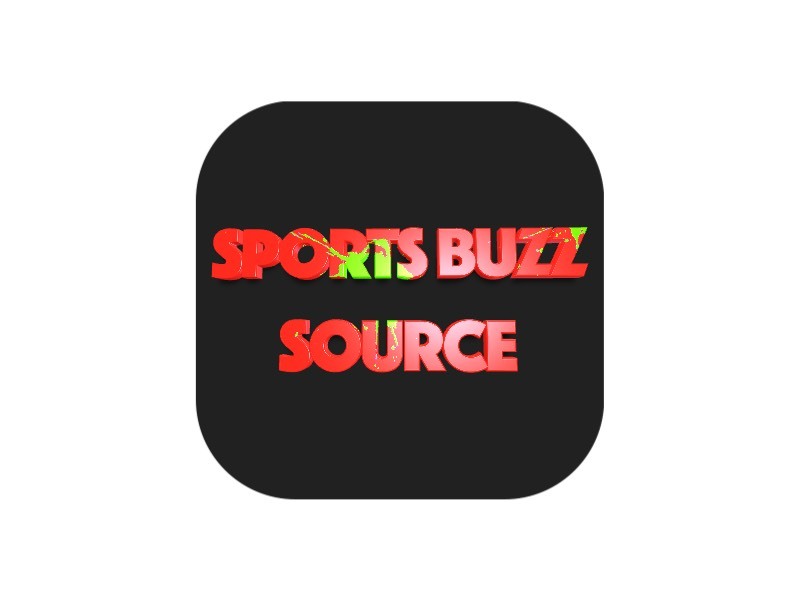 The brackets will lock right before the first game of the first round, on the following Thursday (March 15, 2019), which means you have just four days to make your picks. How do you make better picks? We have dozens of stories on bracket strategy in our BracketIQ hub. There, we examine past brackets, historical data, and results from previous NCAA tournaments to give you a better idea of common mistakes you should avoid, simple rules to follow, and advanced strategies to consider. We’ll have more 2019-specific stories as trends from the season are unveiled throughout the year.